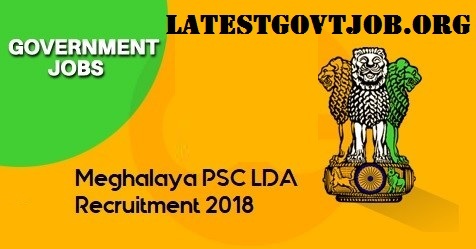 MPSC Recruitment 2018 For 228 Posts of Assistant Lecturer, LDA & More | Apply Online - www.mpsc.nic.in : Meghalaya Public Service Commission (MPSC) has released a notification for the recruitment of 228 Assistant Lecturers, Lower Division Assistants and More. Interested candidates may check the vacancy details and apply online from 13-04-2018 to 31-05-2018. Selection of candidates will be made on the basis of Written Examination, Personal Interview and Screening Test. Interested and eligible candidates may apply online through MPSC website - http://www.mpsc.nic.in/ - from 13-04-2018 to 31-05-2018.